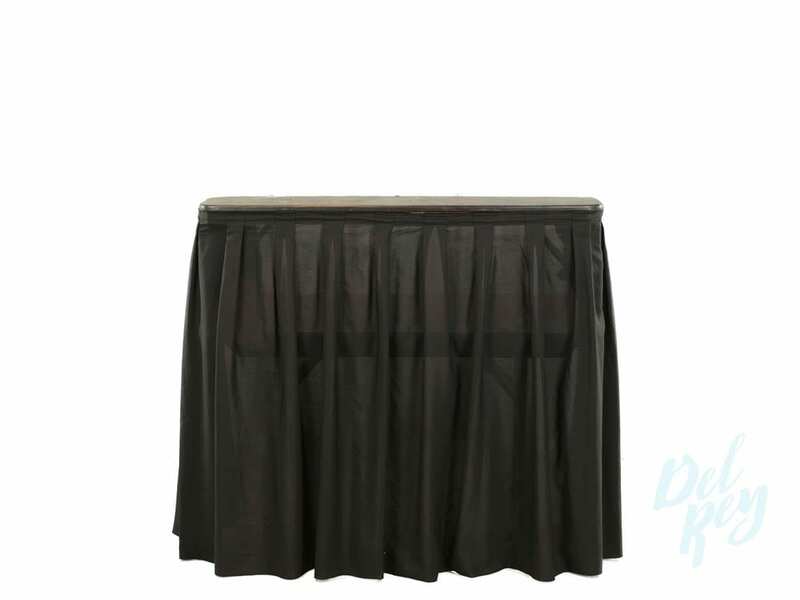 The 4 Ft. Skirted White Bar features pleated skirting from top to bottom on the front part of the bar. This is an easy to set up bar that can be incorporated into any event. The bar is simple yet very convenient. Adds a touch of sophistication to your events. The set up for the bar is very easy and can easily be disassembled and stored away. This is the perfect choice for events such as: Birthday Parties, Corporate events, Graduations, and small get together’s. 1- 14″ X4′ Removable bar top.